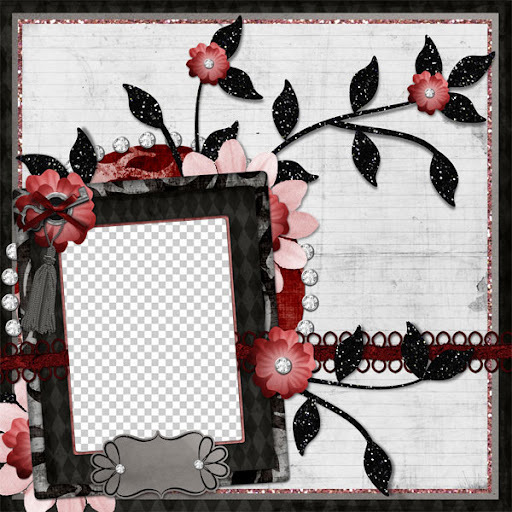 Bon Scrapatit Designs: BLOG INTERRUPTED: AN ACCOUNT OF MY UNSCHEDULED MINI-VACATION AND AN *INTERLUDE* FLAW MAKEOVER!!! BLOG INTERRUPTED: AN ACCOUNT OF MY UNSCHEDULED MINI-VACATION AND AN *INTERLUDE* FLAW MAKEOVER!!! Sharon, Nancy, Judy and Vicki - y'all know me TOO well and I appreciate your coming to check up on me! MWAH! Okay, firstly, I BOOFED again! OMGosh and how I did not catch this myself while making the "scrapatit" for *INTERLUDES* I just do NOT know! I guess it tells me that I was not myself and you will come to understand that in just a moment, but first, I must RIGHT my WRONG! I will be including for you, at the end of this post, a link to a corrected journal matte and one for the "scrapatit" which ALSO contains the "flawed" journal matte. A simple explanation - I did not completely cover the template and there is some "blue" showing on the far righthand side. Thank you girlfriend (Snowsmoon's Design) for bringing it to my attention last night! MWAH! I am just feeling so awful as there are SO many that have been downloaded and I know that MOST of you are like me and you grab things and add them to your stash for future use. One day down the road, you'll find that RIGHT photo from that SPECIAL event, go to search for the "scrapatit" and eventually catch that "flaw" and be SO upset to have spent SO much time on your project only to find that it is unacceptable!!! Okay, yes, I am being a bit dramatic, but HEY, y'all know I'm right, eh? Okay, secondly, the reason I've been MIA is that I took an unscheduled "mini" vacation! YUP! I went ADIOS! Where? How? Sonora, the Hotel Sonora Regional via limo!!! ROTFLMBO!!! Okay, a vivid imagination on my end, but hey, a girl can dream, CAN'T she??? Here's the REAL DEAL! After posting on Facebook, I went to Blogger and started my post for y'all. I had IM'd my DEAR, DEAR friend, Monna Lainson to see if she was going to post the BEAUTIFUL "scrapatit" aka QP that she had made from her layout using *Shimmerin' Shamrocks*. Monna created a MOST lovely layout of her VERY own "Celtic Beauty", Shauna aka her GORGEOUS daughter! (I will share this with y'all in one of my next few posts!) Well, somewhere in between pushing the send button on Yahoo Messenger and my abrupt departure, I had an extensive conversation with a nurse on our local nurse's advice line. Why might I have been asking for advice? Hmmm .... well, the stubborn lass that I am at times had not been herself from the past weekend on. While on a walk with Robert Sunday morning, prior to our travel to visit our grandson, Dillon, I stopped THREE times coming up the hill and I've not done that before. Robert was concerned and thinking it was surely my heart again. I told him that it felt like dinner from the night before was lodged in my esophagus. I DO have a hiatal hernia, so that is what I was thinking and that it was causing me to be winded. From this point on, I felt as though I'd been run over by the proverbial MACK truck. We spent the entire day away visiting Dillon and his mommy and daddy and when we returned home, we were both in bed by 9:00 pm. I slept until 9:30 am the next morning and awoke with discomfort in my chest. I was not really concerned about it until the following day, which brings us to Tuesday, when the pain became a little more intense after I had a piece of leftover chicken at about 2:15 pm, which was the first thing I had eaten all day due to the way I had been feeling. It was "quick and easy"! Long story short, according to my symptoms and my prior history (angioplasty and stent implant four years ago), the nurse's guidelines told her to have me call 9-1-1! EEEKS! Uhm .... can I just call one of my boys and have them drive me to the clinic? It is up to you, however I suggest you call 9-1-1, that way if it is your heart and something happens in transport, you will have help on the way to the hospital, replied the nurse. I could hear the change in my voice as I, while waiving the invisible white flag and surrendering, told her, "okay, I will call 9-1-1". I am really a VERY laid back person, at peace and not SO easily moved (unless I smell something burning! ), however, after hanging up with the nurse, I had a million thoughts going through my head, one of which, I did not wish to be alone when the paramedics arrived! LOL! I called my oldest son who, in the midst of rings, I realized was at work so I hung up and drew a BIG BLANK as to the numbers of two of my other boys!!! I then called Robert, explained to him that I had just called 9-1-1 and asked if he would call one of the boys to come to the house to be with me. My next and final phone call before the crew arrived with my son, Luke, right behind them, was my BFF, Dawn aka Snowsmoon's Design! Thank you girlfriend for your MANY phone calls to both Robert and I checking in on me and for informing others here in SCRAPLAND! BIG, BIG HUGS! Now mind you, we live in a small community so between my son and I, we knew the majority of the team coming to my rescue!!! One of them was the son of one of our neighbors who just happened to be one of the responders to my emergency from the clinic four years ago! I felt VERY comfortable and laughed and joked with them all the way to the ambulance! What else is a girl to do??? ROFL! I won't mention the poor firefighter who tried THREE times to get an IV going in one of my arms!!! You just KNOW that his colleagues were teasing him BIG time! LOL! The paramedic was feeling NO pressure as he made the fourth attempt once I was settled inside of the ambulance! VOILA! Oh, and with it being St. Patrick's Day and all, my limo .... er, uhm ... I mean my ambulance driver was speaking with an Irish accent the entire trip which was about a half an hour!!! Need I tell you that I was in GREAT company and having a good time as well as waving at my twins every time we came to a stop as they were following behind us! I'll spare you ALL of the details for this shall surely become a novel rather quickly! I was evaluated in ER. My blood pressure was normal and ran between 103-113 over 70-72 with a non-eventful EKG. Oxygen was excellent and I was running a very low-grade fever. Because of my prior history, the doctor on duty did not wish to take any chances with me, so I was admitted and taken to a "room with a view"! WOW! Its was already dark and the view was GORGEOUS so I asked the nurse to leave the draperies open. I mean, after all, with NO computer I just had to be able to enjoy a BIG screen panorama!!! LOL! I bedded down early as I'd sent Robert home to spare him the discomfort of hospital seating in the ER! LOL! He was not able to call me as it was past visiting hours by the time I was taken to my room, so I called him .... two or three times! Can you say, "separation anxiety"??? He, he ... We have VERY seldom ever been apart for a night so it felt just a wee bit strange not having the other present! He was SO cute and funny. I was sitting on the sofa watching television, looked over and did not see the back of your head! It just isn't the same without you here, he says to me! I chuckled and said, "now that's too funny honey"! I'm sure y'all know what he means by the back of my head, eh? YAH! Me on the computer! LOL! I had several blood draws taken periodically to check my enzymes for whether or not I may have had a heart attack. I forgot to mention earlier that the paramedic gave me a spray of nitro and four baby aspirins and almost immediately the chest pain subsided. I was given another spray in transport to the hospital to bring my pain level down to a one or zero! By the time I was in the ER, I was only feeling a VERY mild discomfort. By this time I am hoping and praying that it is NOT my heart! The stuff worked! I was given a stress test via treadmill Wednesday morning. I was SO blessed to have my cardiologist present as he had my file from four years ago and my results this time were dramatically different in that I was not experiencing severe chest pain and I was NOT "begging" for mercy and he did not see anything irregular!!! I passed! WOO HOO! The only flack I got was when I mentioned that I stopped taking all of my prescribed meds nearly two years ago! How is your blood pressure the doctor asks? GREAT! The last one taken was 98/61 and my cholesterol levels were AWESOME last draw! What was your LDL? 64, I answered with gusto! That's GREAT! Uh, huh, so why do I need to be taking medications for problems that I DO NOT have? He actually didn't blink at those two, but was a little concerned about by stopping the Plavix. I explained to him that I stayed on it for the two years recommended because of the stent but that I was tired of bleeding so easily and I was on a program that helped thin the blood and didn't need both. He told me that it was my decision and that I could just take fish oil to help keep things flowing smoothly! HA, HA!!! WOW! He has come a long way in four years! WOO HOO! Yeah! I am taking fish oil now since I am no longer on the other program. My body responds SO much better to natural remedies. Please note that I DO NOT advocate this for anyone, however, no one knows our body better than we do. I've learned what works and what doesn't for mine. This is just going to be longer than I had hoped but I am sharing in hopes that it may help some one else down the line. Anyhoo, my cardiologist reported to me that he was 95% sure that my chest pain had nothing to do with my heart as it had been persistent pain for over 24 hours, nothing showed up irregular from my stress test and my enzymes were fine. PHEW! YAY! Now what? Back to my room, another blood draw and then I was taken down for an abdominal ultrasound to check my gallbladder. I had one done less that two years ago and was found to be with stones, but my gallbladder was normal. The sweet little gal doing my ultrasound explained to me that she would be checking to make sure that the stones she discovered were "free floating" and not stuck somewhere! VERY cool! I got to see those little rocks swimming around! The wall of my gallbladder was normal - NO inflammation. Two down, now where do we go??? LOL! I also had my thyroid levels tested since I am on Armour Thyroid. Interestingly enough, my TSH was low, which has me baffled as my last test showed my Free T-4 being VERY low and I am due for a follow-up with my primary doctor to see where I am standing since having my dosage increased this past month. I am curious to see what my doctor has to say. He was thinking from the looks of things that my hypothyroidism may be secondary to a problem in my pituitary gland! WHOA! I am SO loving this doctor as I studied this out a decade ago and have NEVER had a doctor so much as whisper the possibility of a problem with my pituitary gland. Makes sense to me after being treated for hypothyroidism for the last 12 years and never being without symptoms - UGH! When the doctor from the pulmonary-cardiac unit where I was staying came in to see me with ALL of the results prior to my release, she said that my trouble could possibly be related to my stomach or esaphagus. I am to follow up with my primary doctor and if I continue to have the same trouble, she recommended an upper endoscopy/EGD. Oh JOY! WOO HOO! Let's make an appointment for that RIGHT NOW!!! *cough, cough* ROFLTMBO! I'll make an appointment for the EGD right after my colonoscopy! HELP! LOL! Between the two, they will PROBE-ably do me in!!! HA, HA, HA, HA, HAAAAAAA!!! EEEEEEKS! All kidding aside, I am VERY thankful for the EXCELLENT care I was given from the time I made the phone call to the nurse's advice line until the moment I was released from the hospital and that they all looked to the welfare of my heart before anything else! I will keep y'all updated as to WHAT is found to be the REAL cause for that chest pain. I have but ONE question when I go to see my primary physician - WHY did the nitro relieve my chest pain??? A little something for "me" to research as well! *big smile* Although my SWEET Robert was a little disappointed that they were not able to give us any answers as to "why", I do have faith that the root of my physical woes shall soon be established! I've been a VERY good girl and actually did not turn my computer on at all until sometime Saturday! I arrived home Wednesday night and spent three days getting a jumpstart on some spring cleaning - WOO HOO! I paced myself and rested often and put myself to bed long before midnight! Tonight is my first night up past midnight, but ONLY because I received a phone call from my son, Luke asking me to type a couple of papers for his girlfriend as her printer ran out of ink in the midst of printing. Unfortunately, she did not have means by which to save it onto portable media so I had to type it all out! Let's just say that several hours later Luke and I had learned a few new things together!!! I was using a new program and had never navigated my way around it before! LOL! We were trying to position a "drop cap" on the page just as Tessa had done and it wasn't happening! *sigh* It was WONDERFUL quality time with my son and I was MOST happy to be of help! Below, you will find a separate link for the CORRECTED journal matte for those of you who do not wish the "scrapatit" and then one link for the *Interlude* "scrapatit"! I apolgize for the inconvenience. Regardless of the fact that these items are "freebies", I still wish to ensure that those of you that visit and download are receiving TOP quality product, so please DO NOT hesitate to e-mail me if you find a "flaw"! Thank you! Ahhhh, that reminds me - to contact me personally, please use the following e-mail address: bonscrapatitdesigns (at) gmail (dot) com. I recently removed the image with my e-mail address from my sidebar as now that I am on Facebook, I am flooded with e-mails moreso than ever and I know that I have missed several e-mails from a few of you, so I will mention right now that if you have mailed me and not received an answer, please resend to the new e-mail addy! I will update my sidebar as well just as soon as possible. I hope to see y'all back tomorrow night with some more goodies! Wishing you ALL a MOST fabulous week ahead! *SUNRISE, SUNSET*, PART TWO AND HOW DO YOU DO??? A QUICK PEEK AT WHAT IS TO COME LATER TONIGHT! SOME FREEBIES AND WHAT I AM UP TO TODAY!!! I MISSED A VERY IMPORTANT DATE!!! EEEEEKS! I DREAM OF GENI AND A BIT OF LUCK FOR Y'ALL!!! *LOVE IS* FREEBIE FROM SNOWSMOON'S DESIGN!!! SAD NEWS FOR ME, BUT GOOD, GOOD NEWS FOR Y'ALL!! !